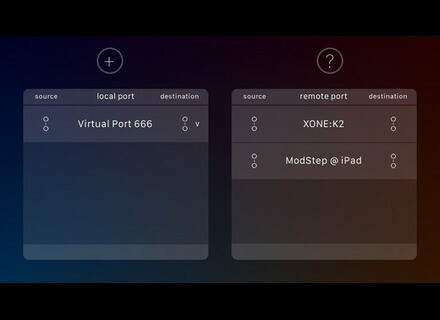 midimux, Other software for iPhone / iPod Touch / iPad from AppBC. 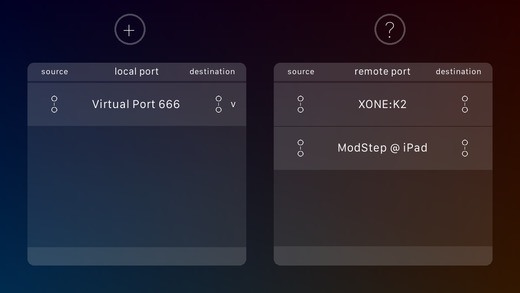 And they are debuting Midimux, a app that allows for sending MIDI data between your iPhone, iPod Touch or iPad and your Mac by using a simple USB/Lightning or 30-pin cable (no version for Windows yet). Midimux is available for 9.99 € / $9.99 at the AppStore, an audio version called Audiomux is also expected soon. The Monoplugs B-Step Sequencer in v2.1 Monoplugs has updated its B-Step Sequencer bass sequencer plug-in for Mac OS X, Window and iPad to version 2.1. Best Service Voyager Drums is out Best Service announces the launching of Voyager Drums, a sample library that was introduced at NAMM 2015 in January.